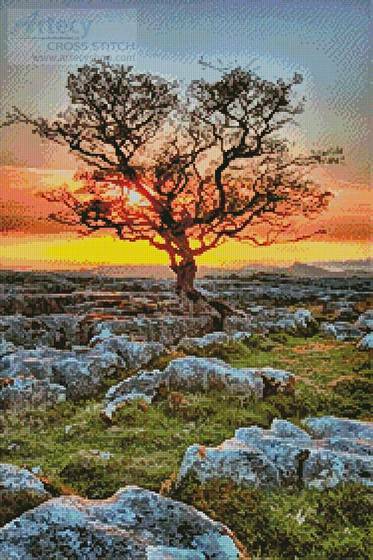 Dales Dusk cross stitch pattern... This counted cross stitch pattern of a Tree at Dusk was created from a photograph copyright of Philip Hunter - Getty Images. Only full cross stitches are used in this pattern.